1. 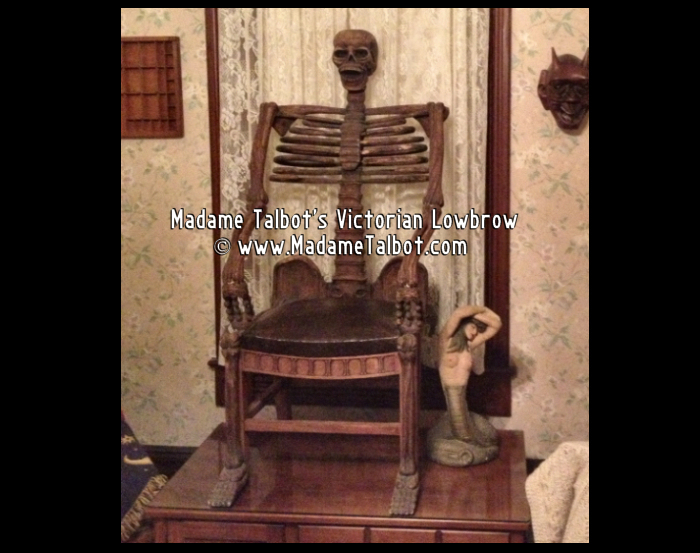 The Victorian version made in 1838 which has ornate designs carved on the bottom of the chair around the legs. 2. 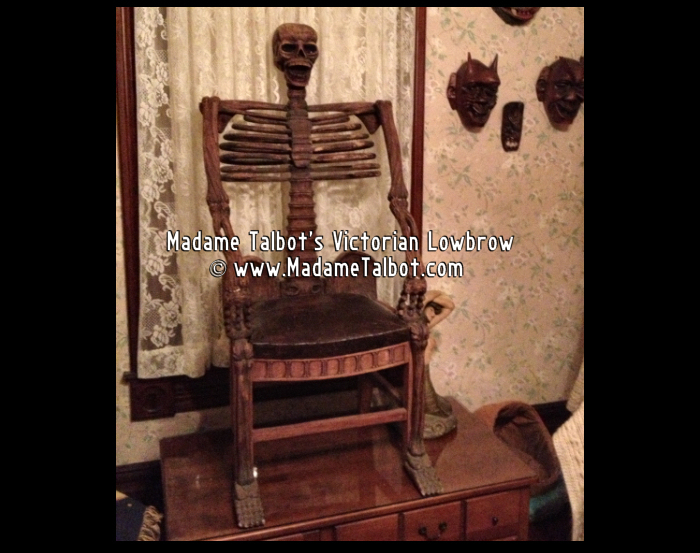 The rocking chair version - which is exactly like the Victorian skeleton chair but with rockers. 3. The 1930s chair which is what this one is. It does not have the ornate carved designs on the bottom of the chair. 4. And finally, the Vincent Price chair which was made in the 1960s.